Mix the biscuit crumbs, cheddar and butter together. Press lightly into a greased spring form pan (20 cm in diameter pan). Push the crumbs slightly up against the edges. Heat the oil and fry the red pepper and leeks until just soft. Beat the cream cheese, eggs, pesto and milk together. Sift the flour into the mixture while beating. Add the leek mixture and mix through. Season to taste. Spoon into the prepared crust and spread out evenly. Crumble the feta cheese over. Bake in a preheated oven at 220° C for 20 minutes. Lower the heat to 160° C and bake for a further 45 minutes. Leave to cool in the oven. Run a knife along the edges and turn out. Serve with salad. 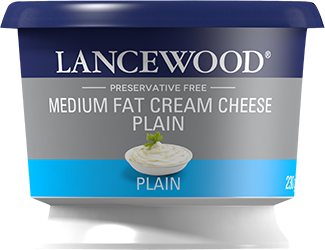 Use Lancewood Spring onion and Chive Flavoured Cream Cheese instead of plain. 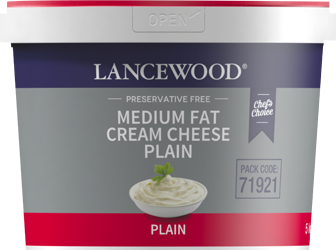 Use Lancewood Sweet Chilli Flavoured Cream Cheese with Thai pesto and add 160 ml well drained whole kernel corn instead of leeks and 30 ml chopped coriander. Mix the biscuit crumbs, cheddar and butter together. Press lightly into a greased spring form pan (20 cm in diameter). Push the crumbs slightly up against the edges. Heat the oil and fry the onions and red pepper until just soft. Add the baby marrows and fry for 1 minute. Beat the cream cheese, eggs, pesto and milk together. Sift the flour into the mixture while beating. Add the baby marrow mixture and mix through. Season to taste. Spoon into the prepared crust and spread out evenly. Crumble the feta cheese over. Bake in a preheated oven at 220° C for 20 minutes. Lower the heat to 160° C and bake for a further 45 minutes. Remove from the oven and cool slightly. Run a knife along the edges and turn out. 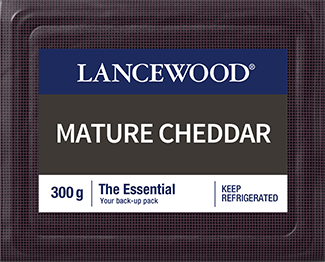 Serve with salad as a light lunch.